Unique wooden toys are a great way to keep kids entertained with creative summer play. Toys that inspire children to build, create, problem solve, and rebuild are a beautiful thing. This post is sponsored by Oh! Toys and they take pride in curating just those types of unique, wooden toys. They offer wooden marble runs, wooden spinning tops, wooden games, and wooden puzzles – from Europe, Japan and the U.S.A. Oh! Toys selects toys to carry based on the toy’s developmental and educational qualities as well as the toys ability to inspire creativity so you can shop with confidence and ease. They also select unique, wooden toys made from sustainable hardwoods in fair-labor countries so you can feel great about that too. Why buy it: Cuboro is a favorite at Oh! Toys. 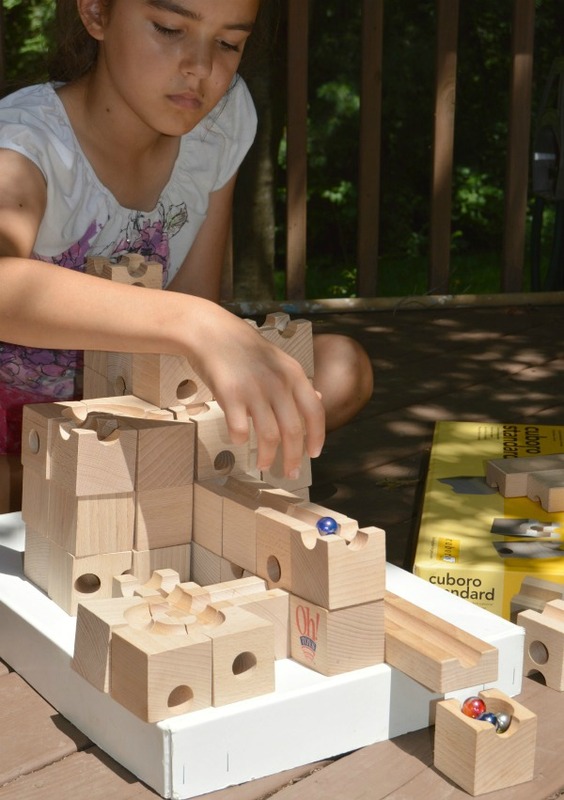 Part marble run, part puzzle and part developmental and educational marvel, Cuboro is truly a “heritage toy” — one which not only can be passed from one generation to the next, but which children will come back to time and again as they grow and become more sophisticated about their creations. As one teacher put it about her classroom Cuboro set, her children have seen “growth in their understanding of forces, gravity, cause/effect, logic, and spatial relationships & orientation, and further developing their sense of responsibility (not losing those marbles is a grand responsibility for some…! ), fine motor skills, ability to concentrate, ability to plan, ability to organize work and projects, ability to problem-solve, ability to cooperate and collaborate, ability to wait, and ability to anticipate & predict.” My own children enjoy this unique, wooden toy. Beautiful, compact wooden block set that is great for traveling along on summer trips. Why buy it:Bibros is a wonderful, small wooden block set that, despite it’s simple design, lets you build unusual and attractive constructions. Contrasting wood colors add design possibilities. Bibros are great for creative children and the price that is easy on the wallet! 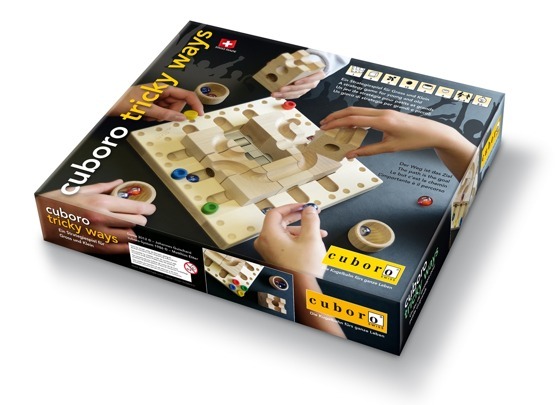 Cuboro Tricky Ways is a unique wooden game that will challenge kids and adults alike. Cuboro Tricky Ways is best enjoyed between two to four players ages 6 and up. Why buy it: Tricky Ways is a strategy-based game that will provide hours of entertainment. Players try to score points by creating long marble tracks across the board that will drop their marbles into available spaces. Every game is a unique challenge. Tricky Ways is sure to be a super hit for those that like puzzles and games that make them think. These unique wooden toys are sure to inspire your child in creative play all summer long. You know that feeling you get when you find exactly what you what? That is what Oh! Toys is all about. I hope these unique wooden toys give you some inspiration for developmental toys to keep the kids having fun and learning over the summer.